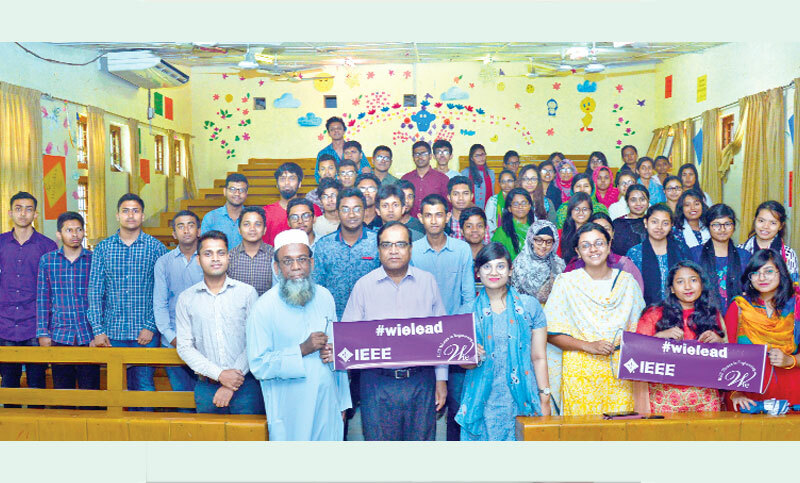 Chittagong University of Engineering and Technology (CUET) Vice Chancellor (VC) Professor Dr Mohammad Rafiqul Alam said participation of women in technology sector will have to be increased to take the country forward. He said this while addressing as the chief guest at a programme on ‘IEEE Women’s Day Celebration Through Tec-Activities’ at West Gallery on the university campus on Tuesday. Women IN Engineering (WIE) Infinity group of Institute of Electrical and Electronics Engineers (IEEE) of the university organised the programme to observe the ‘International Women’s Day’. Focusing necessity of participation of women in the field of development, the VC said a country will go ahead if participation of women is increased keeping consistency with men. WIE Infinity group Chairperson Shiman Mehjabin put up contribution of women in technology sector through multimedia presentation. Earlier, a rally led by CUET VC was brought out from in front of Electrical and Mechanical Engineering department and ended at the West Gallery after parading different roads on the campus.